Social Media Marketing is the new age marketing for all businesses to increase their brand awareness. Social media is undoubtedly one of the top tools for the businesses who want to grow their online presence. There are still some businesses who don’t understand the true power of social media in growing your business. It can bring a completely new dimension to your business. In the digital age, being active on social media on regular basis will help growing your business and increasing brand awareness. Social media channels are a crucial part of your marketing strategy. Here in this article, we have provided the golden rules for successful social media presence of your business and how to use social media like a pro. Which posts generate more engagement? Which topics interest your core audience the most? 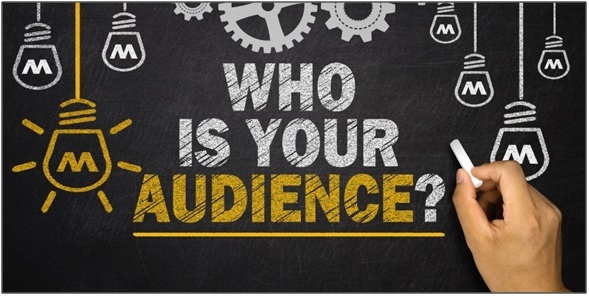 It’s essential to know the areas and topics which attracts your audience the most.These topics can be of any type like Industry news, question posts like creating a Twitter poll, videos, reviews and testimonials etc. Know what they want to read about and what their interests are and give them what they want. Which tone of voice matches your audience the most? Are you inviting your followers to join the conversations you start? Are you also engaging in their conversations? It's essential that you give your audience a voice show you care about their opinion. Giving them the opportunity to share their thoughts will help in increasing your brand value. In fact, 90% of consumers say they're likely to recommend a brand following a positive interaction on social media. Give your users what they want and what they want to see. Make them feel at home. Adding a good call-to-action (CTA) to promote your content can increase your followers’ engagement. 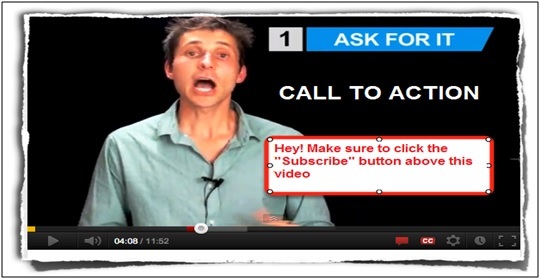 Here are a few tips to better benefit from CTAs on YouTube, Facebook and Twitter. Use the bubbles that pop up when you are watching any video which asks you to like, subscribe and share. You can manually ask visitors to like, subscribe, share, comment on your video. With Book Now call-to action people can schedule appointments with you. This can be used by clinics, hotels, restaurants to book appointments. Shop Now call-to-action allows users to see and buy products from your website or page. This call-to-action is mostly used by e-commerce websites to generate more traffic. 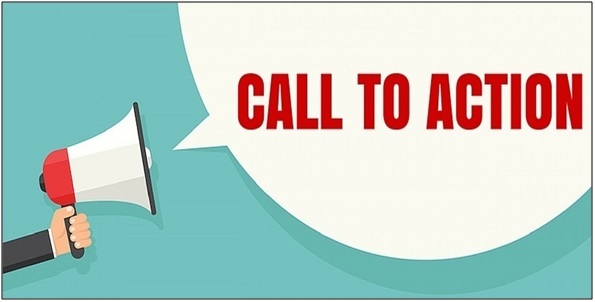 Contact Us call-to action is used to share your business or brand contact details. Use this button on the contact page of your website. This call-to action is often used when sharing snippets of your blog posts on Twitter. This is a great way to get more traffic on your website. Ask people to download any new product or services from your website increases URL clicks by an average of 13%. Tweets with this call-to-action increases clicks by an average of 11%. This call-to-action encourages your audience to share your content that earns more exposure and reach to your website. Know this: theodds of a mediocre content going viral are inexistent. Only high-quality content will go viral. You just have to find the right content, the right tone and the right moment to drive the audience to your website. Sharing your content online across various social media channels higher the chances of you getting new customers. If you don’t share your content, don’t expect others to do it for you. Sharing your content is the fuel for it going viral. One of the key rules for sharing your content is to create a unique experience across various social media platforms. You better enhance your social media presence rather than relying on a single source of traffic. A way to do this is to work with influencer. Creating strong bond with influencers gives you the opportunity to reach so many more people. On the top of that, people will trust your brand even more. After all, 1 in 2 consumers believe anything an influencer says. Building connections are the core of social media marketing strategy. You have to make efforts and start initiating to connect to more and more people. When you build strong connections, you build a network for your name and your business. As engagement is the key to social media marketing, so reach out to more and more people start building a strong connection. It’s a fact that the visual content like infographics, inspirational quotes, statistics etc are preferred over texts. And what exciting is- social media offers you the opportunity to use plenty of visual content to tell your customers about your business. Current trends like Instagram images or Facebook images and videos are getting more viral and attract a lot of customers to your website. 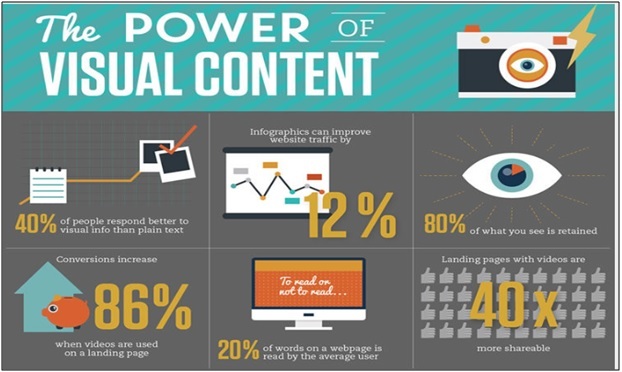 Visual content can also double the click-through rate and increase engagement on your website. 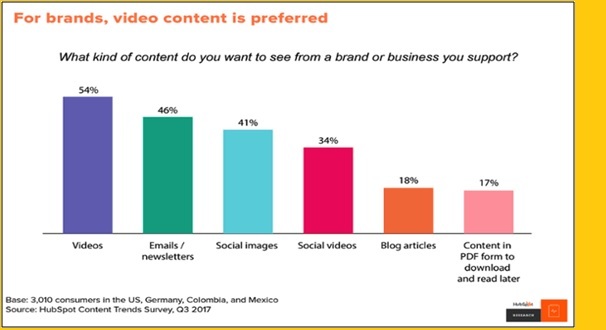 About 32% of the marketers says that visual images are the most important form of content for their business. Platforms like Snapchat, Pinterest, Instagram and more visually oriented platforms that allow more exposure to share visual content.Thus, these platforms help in increasing the visibility of your website. Writing a catchy and the attention-grabbing headlines is one of the effective strategies to attract the right people to your website.Your headline or the bio is the first thing that user see on your profile, which is your first impression on the user. Make it more impressive and include about you, about your website, what you offer. People will only click on your profile when they find something interesting and look atwhat you can offer them and what you can do for them. Position yourself as a leader in your niche with the effective headline and bio and start attracting people to your business. Neil Patel says that about headlines worth 90% of the advertising dollars. So, writing a catch headline not improves the conversion rate of your website but also create more user-engagement on your website. Social media marketing requires constant efforts to catch up with the latest social media changes.Follow these 6 golden rules to build a dominating social media presence and boost your business.